Mies van der Rohe, famous for his quote, “Less is more," designed Farnsworth House in 1945. Constructed in 1951 in Plano, Illinois, the sleek and simple structure has become one of America’s architectural icons. 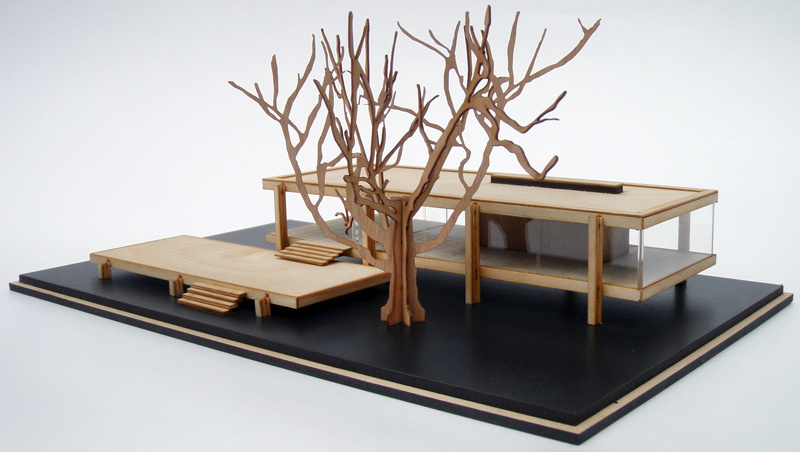 You can own a wooden replica of the glass residence thanks to Marcus Bree of Little Building Co. According to Bree, “My plan is to create a range of products that do justice to these great buildings and their architect's works. My architectural models have a truth to the materials they are made from and the look and feel that they could have come from the architect's own studio.” You can get to know each component of the building as it’s a kit that you construct. “I've been making architectural model kits for a few years now and it is something I'm passionate about,” Bree said. “It combines my interest in the built environment and architecture with my love for designing and developing new products.” He has completed a Kickstarter campaign for the new miniature and will begin producing them soon. I wrote previously about other models produced by Little Building Co.